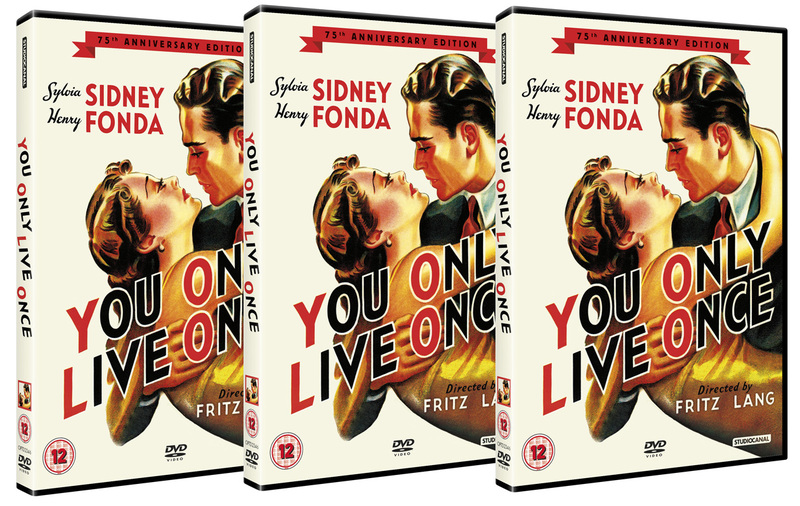 To celebrate the 75th Anniversay of Fritz Lang's classic film noir You Only Live Once, on June 4th Studio Canal are releasing the film on DVD. Cathode Ray Tube has three copies to give away! For Lang (reknowned director of Metropolis, M, the Dr Mabuse trilogy, Fury, The Big Heat and Beyond a Reasonable Doubt) this was his second American film after arriving in Hollywood and fleeing Nazi Germany in 1934. 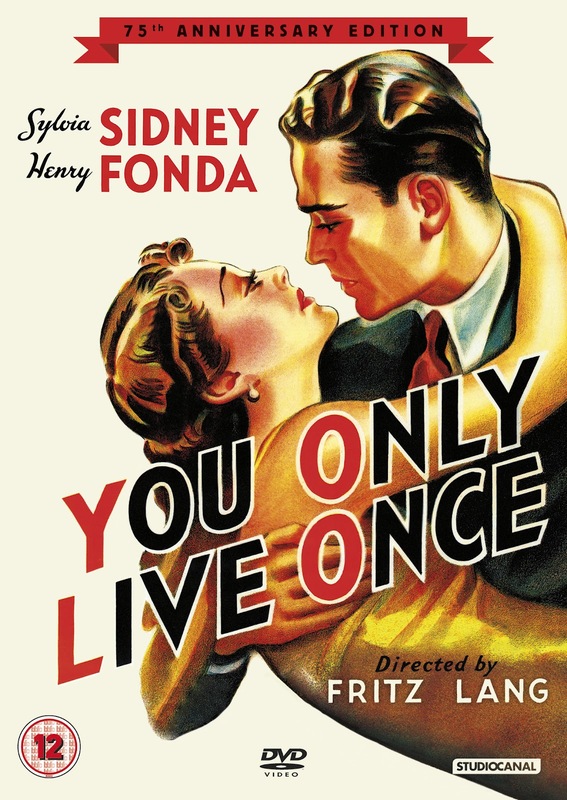 An early film noir made in 1937, You Only Live Once demonstrates Lang's visual power as a film maker and how successful he was making the journey from silent cinema into the era of sound. It is an expressionistic exploration of an anti-hero, Eddie Taylor (Henry Fonda), trapped in a cycle of violence, corruption and paranoia. Eddie is a convict completing his third term for felony. One more offense, the warden warns him, and he will be returned to prison for life. Taylor is not a bad sort though, he has made his mistakes, but he has paid for them. All he wants now is a job, a home for the girl who has been waiting for him, Joan Graham (Syvia Sidney) and a family. He gets a truck-driving job, marries Joan and even makes a down payment on a little house. Sadly, everything falls apart: he loses his job, and a hat, bearing the initials “E.T”, found at the scene of a fatal bank robbery, is enough to convince a jury of his guilt. So he is forced to flee with his wife and baby on the way. In trying to avoid capture, Taylor becomes a murderer. As Senses of Cinema suggests, the film presents "Eddie’s existential odyssey, a journey that begins with him succumbing to the cruel, violent forces of society, but ends in his tacit decision to combat and transcend these forces." It is regarded as perhaps the best of Lang's American noir that also includes Scarlet Street (1945), The Blue Gardenia (1953), The Big Heat (1953) and While The City Sleeps (1956). At the time of release, the film was considered too violent and 15 minutes of footage had to be trimmed from the film. 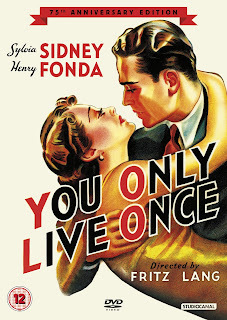 The story is also partly based on the exploits of Bonnie and Clyde and You Only Live Once explores the intense relationship between Eddie and Joan as they take to the road to escape the authorities. Lang's film would initiate the 'couple on the run' genre that later included Arthur Penn's own Bonnie and Clyde (1967) and Terrence Malick’s Badlands (1973). Winners are Nicolas Pilai, Nick Moon and Ian Wareing. Cathode Ray Tube has three copies of YOU ONLY LIVE ONCE to give away courtesy of StudioCanal. Simply answer the question below and submit your entry. - This competition is open to residents of the UK only but not to employees of Studiocanal or their agents. - This offer cannot be used in conjunction with any other offer and no cash alternative is available. - No responsibility will be accepted for delayed, mislaid, lost or damaged entries whether due to system error or otherwise. - Only one entry per visitor per day. No multiple entries allowed. - The winners will be the first entries with the correct answer drawn at random. - The winners will be contacted by email. The DVDs will be posted one week after the competition closes (unless delayed by postal strikes). - The judges' decision is final and no correspondence will be entered into. - Entrants are deemed to accept and be bound by these rules and entries that are not in accordance with the rules will be disqualified. Question: Where was Fritz Lang born? Email your answer to the question above, with your name and address, and we'll enter you into the prize draw. CURSE ME FOR LIVING IN CANADA! !